The lower case j in Futura looks like crap, as unlikelymoose pointed out in his blog post, “Futura Book “j” stinks. However, Futura is such a standard for font choices. Futura is so round, geometric, it exudes a classic feel. 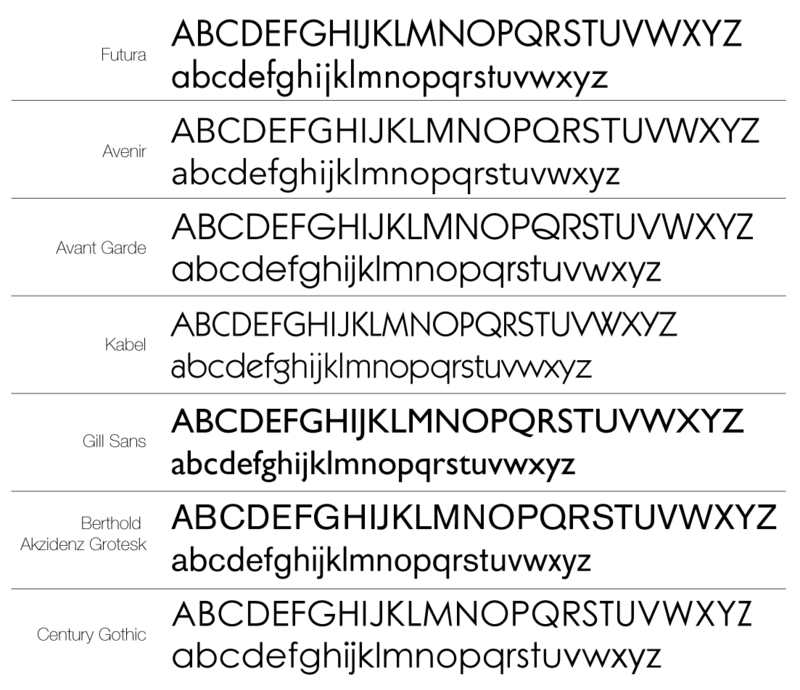 If you want to keep that round feel, here are some alternatives to Futura: Avenir, Avant Garde, Berthold Akzidenz Grotesk, Century Gothic, Gill Sans, and Kabel. Avenir is an excellent alternative to Futura. It takes the simple, clean, geometric shapes in Futura and modernizes them to be more current and functional. Kabel is a step in the wrong direction. I haven’t used Gill Sans since college. What was I thinking back then? 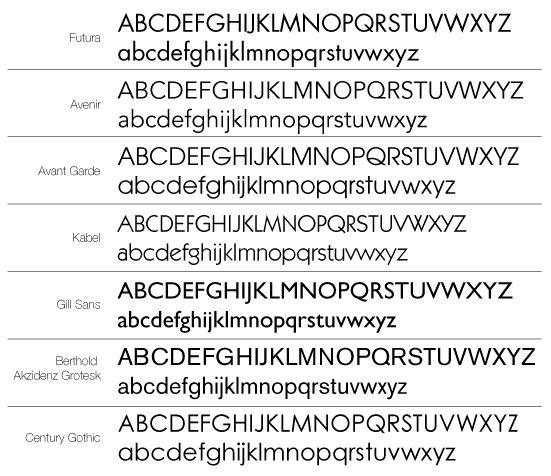 I don’t like Futura or Gill Sans because the uppercase J falls below the baseline. How stupid! Does exist one free for commercial an personal use (and for web pages) alternative tho the ones here or one of them could be used that way? How did you forget Neutra Face? I only wish I had Neutra Face.